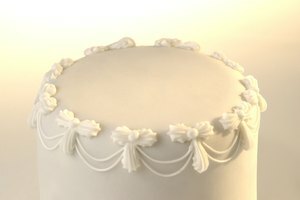 Fondant, the rolled icing that gives special-occasion cakes a smooth and luminous finish, dries out quickly when exposed to air. 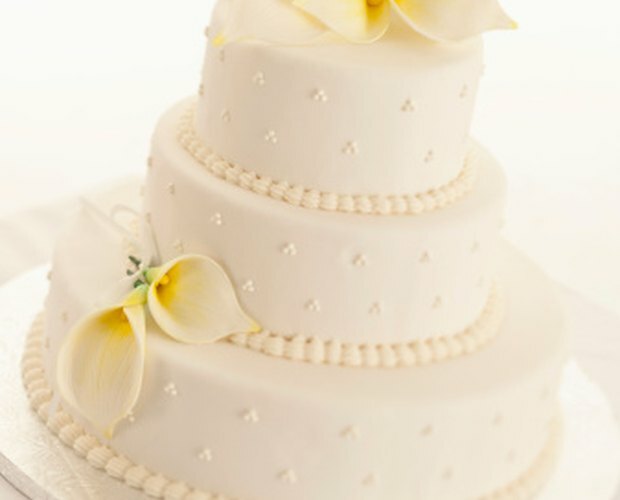 If a baker doesn't apply fondant correctly, small cracks can form on the fondant-covered surface of the cake. 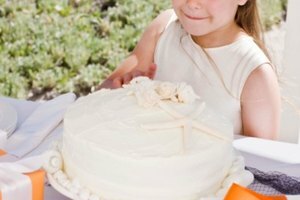 Ideally, you will prevent fondant cracks by preparing the fondant properly before placing it onto the cake. However, if despite your best efforts your fondant cracks, you can repair it without damaging the fondant or the cake. Frost the cake with buttercream frosting before applying the fondant. This helps the fondant stick to the cake better and adds moisture to the fondant, helping to prevent cracks. Knead 1 or 2 tbsp. shortening into dry fondant before rolling it out. This will help prevent the formation of cracks. 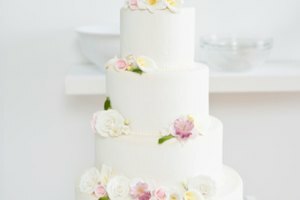 Spread a thin layer of shortening onto the surface of the fondant after rolling it out and before placing it on the cake. This will coat the bottom of the fondant and help prevent cracking. To address cracks that have formed after applying fondant to the cake, coat your fingers with shortening. Push the two edges of the crack together. Rub your fingers gently in a circular motion on the fondant surrounding the crack. The shortening will soften the fondant and mold it back together across the crack.